A lot of hazards could happen near your rental property and put it or people at a risk. In an emergency situation, therefore, the police might instruct strangers to hide in your place (shelter-in-place) until the risk is over. While you would be doing an act of charity, as you could save people’s lives by reducing their exposure to dangerous chemicals, you might fear them. Not all strangers are kindhearted. What if something happens to your tenants’ personal belongings? There are fears, of course, yet the law expects you obey. 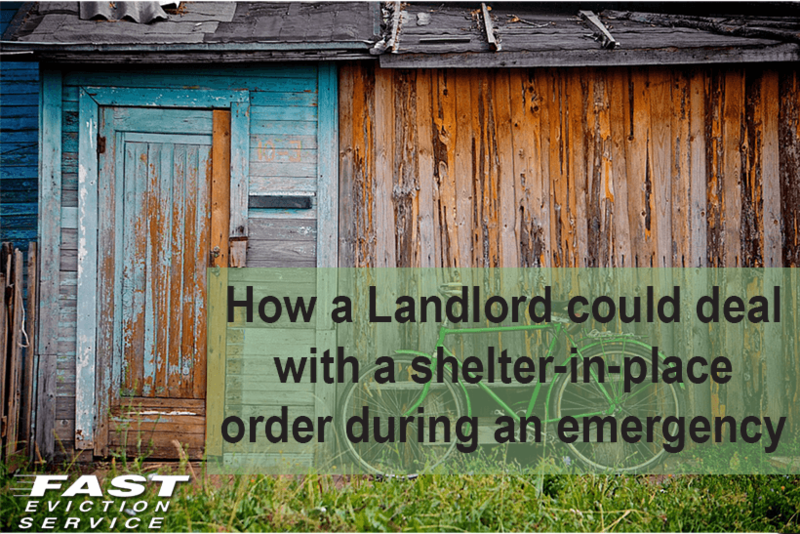 Complying with a shelter-in-place order is a must. Usually, a perilous situation is announced on different media channels to reach as many people as possible. To abide by the law, first ask your visitors to stick around until you find them a safe place to stay. If some want to leave, explain to them the dangers of disobedience. In case your rooms have a few openings, you might want to act fast and seal the holes as fast as you can. Plastic materials or a duct tape can be useful. Since you are not facing a shelter-in-place order currently, it does not mean that you won’t in future. Hence, make sure that you keep disaster supply kits near you. This includes an access to food that cannot go stale quickly, clean bottled water, first aid kits,, flashlights and other things. If you have confined rooms without windows or vents in your property, like closets, conference halls or rooms in your basement or lowest floor, take the visitors there. Access to a hardwired phone is important in an emergency situation, as a cell phone signal reception is often poor. If it happens that all your rooms have exterior windows, or some of them do, the best thing to do is to shut everything. Then use plastic paper bags or other sheets of plastic to seal gaps. Ensure that you do all you can to protect everyone from breathing in toxic substances. If you hear in the news that there might be an explosion near where your house is, keep all curtains and blinds shut. Turn off your HVAC system and wait until you are asked to come out. While sheltered, you can reduce the people’s fear by letting them call their friends or relatives. At the same time, make sure you gather the contact details of every person you have sheltered. There could be fears that an explosion could happen or sheltering-in-place might take several hours. Just try to keep everyone calm and panic free.